Today I’m showing off two new things, woooooo. One is new as in freshly finished, and the other is just new to the blog. so the first thing is this sewaholic hollyburn skirt! I’ve fancied making it for a while now. Every version I see is always flattering and super cute, so I wanted a bit of that action. 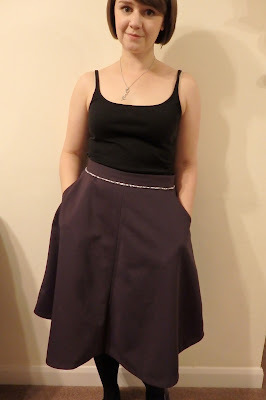 I really enjoyed making this skirt! I really took my time and added in a few little extras. I used the length of view B, but because I’d added piping, I left the button tabs/buttons off. i used a cotton drill fabric from the rag market, which was about £3.99 per metre. i used about two metres-ish for this, so i had plenty left, although i’m not sure what to do with it! I top stitched along the pockets because I thought it finished the edges off nicely. As you can see for yourselves, I also put piping along the waistband seam. I covered my piping cord using a bias binding that I bought from Guthrie and Ghani when I went to sewbrum. I’d like to say I’m going to blog about sewbrum, but I didn’t take one single picture all day long! I then used the same binding to hem the skirt. I also lined it! I NEVER LINE ANYTHING. I don’t know what got into me. 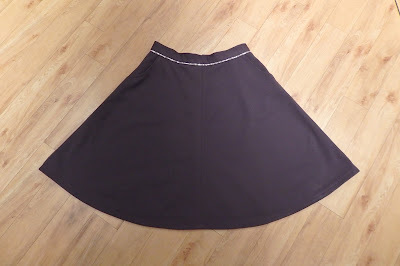 I attempted to finish the lining off with a rolled hem, using my overlocker. 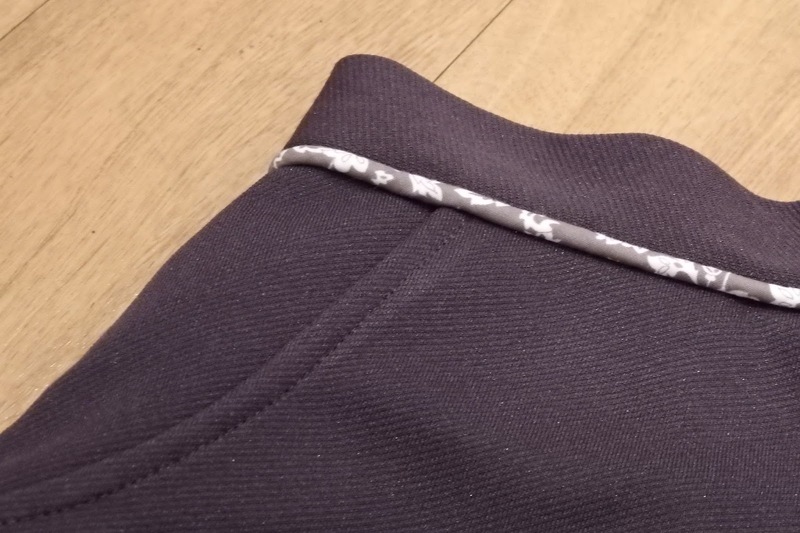 The principal is really easy and it looked nice on my test fabric, but the on the actual skirt lining I didn’t have much luck. It was fraying when I went along the curve of the hem, and the stitches were just pulling off it. 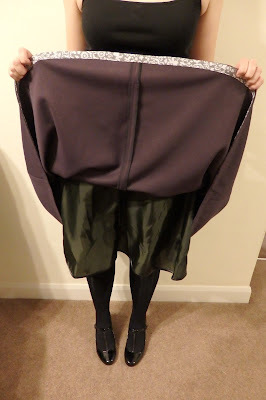 I swiftly ordered some satin bias binding from ebay (4 metres for £1.99 & free postage, no complaints here!) 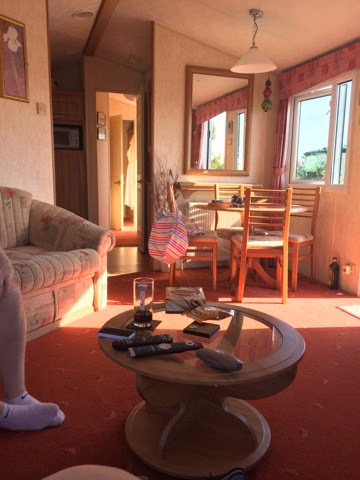 and used that to finish it off. I’m so happy with the finished article! 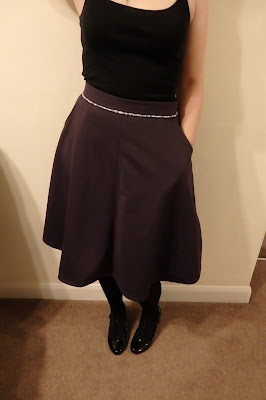 It’s not an every day wear item for me because I’m not so swishy, but I think it’ll be nice for a Christmas outing somewhere, or maybe to an evening wedding reception. 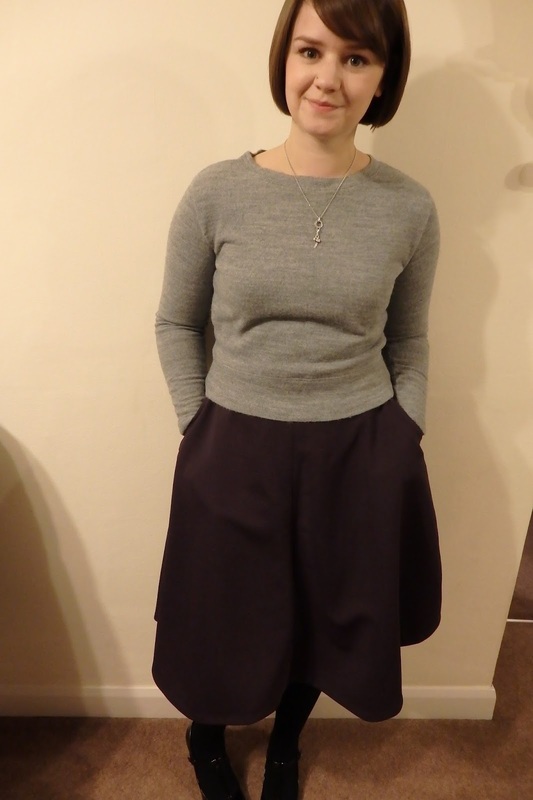 on to the bonus of the blog post… this Astoria jumper from Colette’s seamwork magazine. I love this little jumper and it’s a perfect match with the skirt. 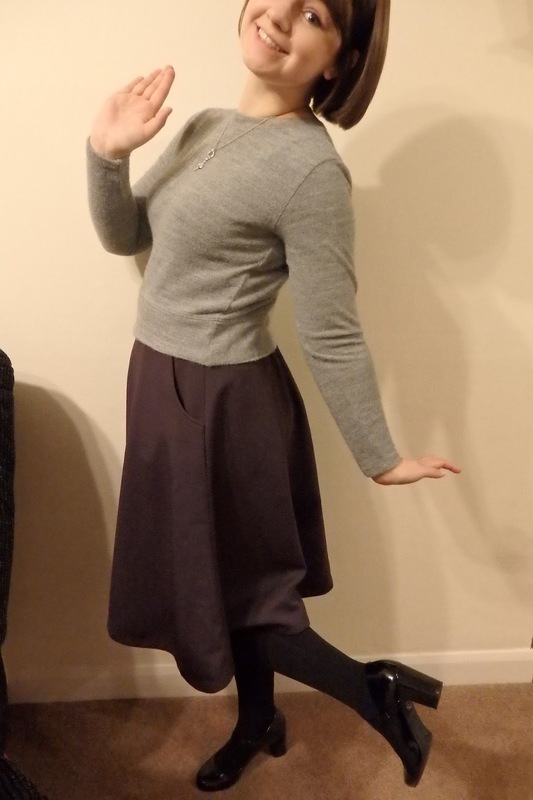 I feel a bit of a 1950’s vibe actually when I’m wearing them both together. I NEED VICTORY ROLLS! No chance of that now I’ve had all my hair chopped off haha. 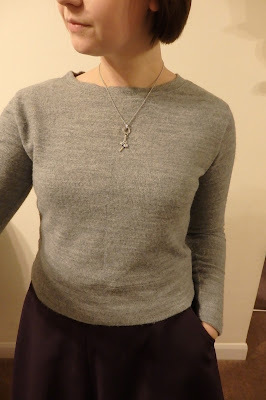 I haven’t really got much to say about the construction of the jumper (you can find info about that here where I’ve made the jumper before) but I’ll tell you about the fabric. I bought it from Guthrie and Ghani (didn’t realise there was such a theme before I started typing!) 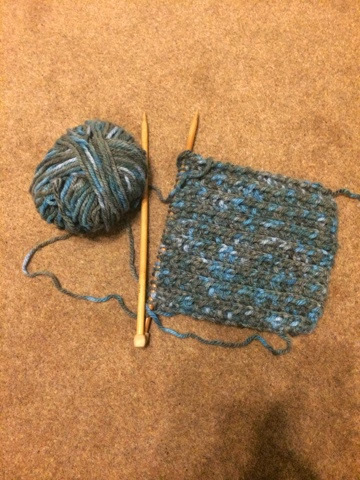 and I think it was about £15 a metre. Seeing as I only needed 1 metre I decided to go for it, splurge a little. 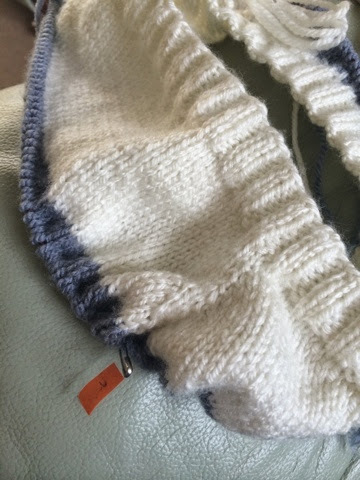 It’s an interlock knit and it’s super soft. I pre-washed and steamed it because I was very worried about it shrinking. I’ve worn it a couple of times and it’s been fine through the wash so far *touch wood*. So there you have it! 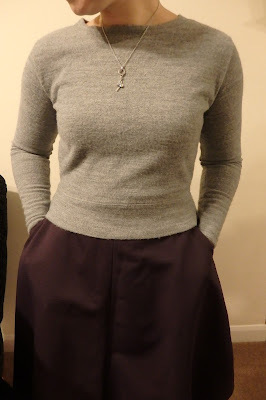 It won’t be my first hollyburn skirt and I’m sure it won’t be my last Astoria jumper either.